NHCS Staff are trained to administer naloxone, and distribute kits! If you are interested in receiving a free naloxone kit please contact us! Do you use drugs, or are you in recovery? Are you interested in becoming a Peer Helper? Call 1 (902) 895-0931 for more information. Great article about the importance of teaching harm reduction! There is now a lock box for disposing of used supplies in Amherst! Located behind Breakfast at Brittney’s, this box is a step towards keeping communities safe. A Mobile Outreach Service in Cumberland County is now here! NHCS staff will be in Cumberland County every second Wednesday, providing all the same harm reduction supplies available at the fixed site. For more information or to access the service, please contact us! Staff at NHCS are trained to administer Naloxone! 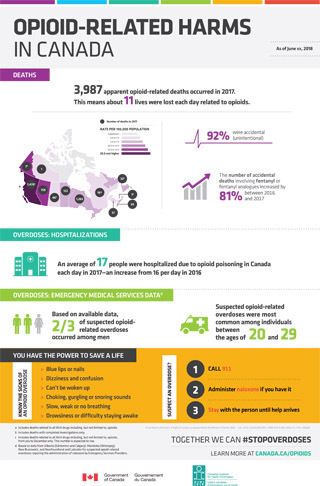 For more information on Naloxone, and Naloxone kits, please contact us.